Product information "Kawai KDP110 Digital Piano"
Replacing the KDP90 the new KDP110 features many impressive additions. A more lifelike keyboard thanks to the Responsive Hammer Compact II system with a touch and response similar to that of an acoustic grand piano. Tonal quality sampled by the beautiful Shigeru Kawai SK-EX 88-key grand piano for rich and dynamic sounds and the convenient technology of Bluetooth, USB and MIDI connectivity. The KDP110 delivers Grand piano touch and tone at a remarkably affordable price. The KDP110 keys have a tone modeled from the Shigeru Kawai SK-EX concert grand piano. Earning a reputation as the ‘premier piano of Japan,’ it graces the stages of concert halls and musical institutions around the globe, receiving universal acclaim for its exceptional clarity and dynamic range. Kawai Harmonic Imaging Technology records each key individually, preserving the rich harmonic character of the SK-EX concert grand piano, and guarantees that the sound heard when playing any one of the KDP110’s weighted keys is a faithful representation of the original acoustic source. The KDP110’s Spatial Headphone Sound (SHS) technology enhances the depth and realism of the instrument’s sound when listening through headphones or earphones. The KDP 110 has a powerful 40W stereo amplifier and speaker system creating sound projection wide enough making the instrument suitable for classrooms, halls or other environments where an audience may be present. The Kawai KDP110 new Responsive Hammer action has been specially designed to have the same natural feel and response seen on acoustic pianos. The springless design and sturdy construction are noticeable by the first touch with the organic response of the upward/downward motion for a smooth and natural playing experience. Just like acoustic pianos each key benefits with a different hammer weight, resembling the heavier bass and lighter treble hammers appropriately graded for each playing range. Such details provide greater stability during fortissimo passages while preserving delicate pianissimo control, to satisfy the demands of even the most discerning pianist. The keys have a matte surface helping absorb moisture and preventing your fingers from slipping. Kawai KDP 110 Grand Feel Pedal System - Reinforcing the KDP110’s reputation as the most realistic digital pianos in its price range is Kawai’s Grand Feel Pedal System. This unique feature replicates the position and individual weighting of the damper, soft, and sostenuto pedals of a Shigeru Kawai SK-EX Concert grand piano to further enhance the KDP110’s acoustic piano-like authenticity. Moreover, dual headphone sockets enable a teacher and pupil to study together in silence, or for two pianists to practice simultaneously using a single instrument. KDP110 Energy conservation - The KDP110 utilises energy-efficient components that reduce electricity consumption by over 60% compared to previous models. Furthermore, the instrument’s optional power saving feature can also turn off the piano automatically after a speciﬁed period of inactivity, thus preventing unnecessary energy use. KDP110 Built-in lesson function - To develop your learning further, Kawai built-in lesson function allows an aspiring pianist to learn piano with 40 integrated songs from classical Burgmüller and Czerny etudes or song collections from the popular Alfred’s Basic Piano course books. These songs have an adjustable rhythm and tempo feature allowing the player to practice left and right-hand parts separately keeping perfect timing in difficult passages, before recording the completed piece for self-evaluation. suitable for anyone wanting to enhance their sense of rhythm. 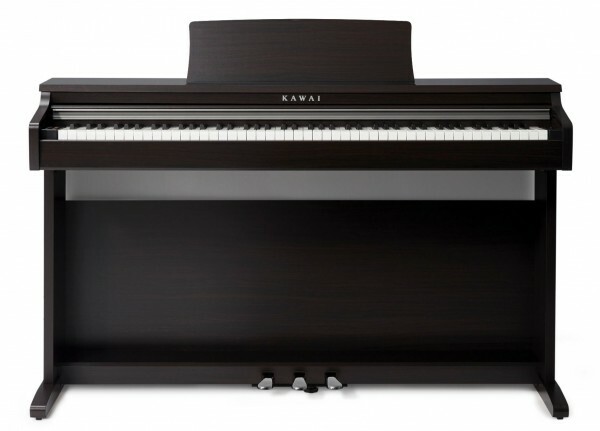 Related links to "Kawai KDP110 Digital Piano"
Customer evaluation for "Kawai KDP110 Digital Piano"